Can You Take Out a Loan to Get Your Car Out of Impound? You are here: Home » Information » Can You Take Out a Loan to Get Your Car Out of Impound? Need cash fast to get your car out of the impound lot? You can get a car title loan with LoanMart and get the cash you need in just a few days1. If your car has been impounded, you need to get it back right away. Missed car payments, and excessive unpaid tickets are just some of the reasons why your car may be towed away. In fact, there are many reasons why your car may be towed to an impound lot. Regardless of the reason, if your car is impounded, you have to pay to get your car back. LoanMart car title loans can help you to make up for any missed payments or fines that are not paid. At LoanMart we can give you a car title loan even if your vehicle is impounded. Why get a car title loan? The longer your car sits in the impound lot, the higher the storage fees will be. When your car is impounded, you may need cash fast to avoid these consequences. With LoanMart, our processes are fast, easy and convenient to ensure that you get your money in as little as 24 hours3. We will only ask for a few documents. A car title loan in your name and a valid driver’s license or other government-issued identification and proof of income would be required. LoanMart is a great option for you if you want to get your impounded car released faster with minimal invasive questioning or disturbances. LoanMart can provide an easy, fast and hassle-free car title loan that you can get to release your impounded car. Here’s how you can contact us to get a free quote on your desired loan. Send us your information online by filling out this form on your smartphone, computer or tablet. An auto title loan is secured with your car. After being approved you will provide us with your car title. We only add ourselves to your title. During the loan period you keep driving your car while making convenient monthly payments. That’s it! You have probably done something similar when you financed your car with the help of the dealership or the bank. Thousands of people are choosing car title loans because they are faster than other methods of borrowing. You can get as much as money as you want as long as you have equity in your car and have the ability to repay the loan1. You can have money in your hands in as little as one business day3. Just submit all the necessary documents early enough to get the consideration you want. No need for cold feet if you don’t have an impressive credit history. We only partially consider that in making decisions about loan approvals. These loans are a great option when you need to get your car back from the impound lot fast. You can get your money through Money Gram, a bank account, or a Walmart store near you. At LoanMart we don’t require that you have to open a bank account to get your money. That’s why we have several options to help you receive your money with as little fuss as possible. An auto title loan is a way that you can turn your car’s title into cash — and fast1! An auto title loan is a loan secured with your car, but we only add ourselves to your title so you can keep driving while repaying your loan. People choose auto title loans because they’re faster than other ways of borrowing. It’s possible to have money in your hand in as little as one business day3. In some cases we may even be able to get you money the same day depending on when you contact us and how fast you work with us to get it done3. 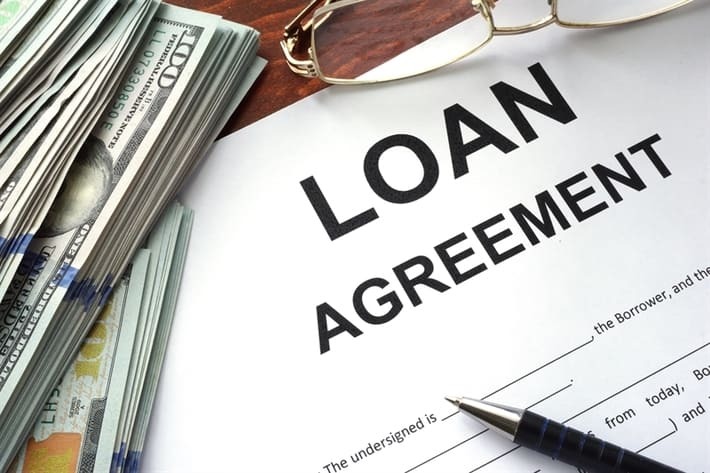 These loans can be easier to get than others — you don’t even need a great credit score. 5. We don’t hold the vehicle. Pay off your loan and we will clear our name from the title. One of the many benefits of using LoanMart for a car title loan is that you can still keep your car while making the loan payments. We have no intention of holding onto your car because we know you need it to get around. Get your car out of impound ASAP with LoanMart! Previous post: How Long Does It Take to Qualify for an Auto Title Loan?